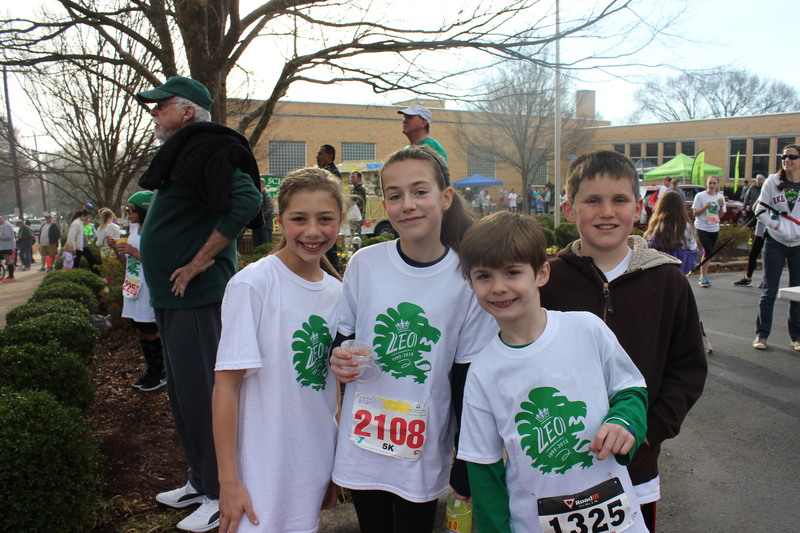 St Leo School proudly announces our 22nd Annual 5K & 10K Road Races & Fun Run. 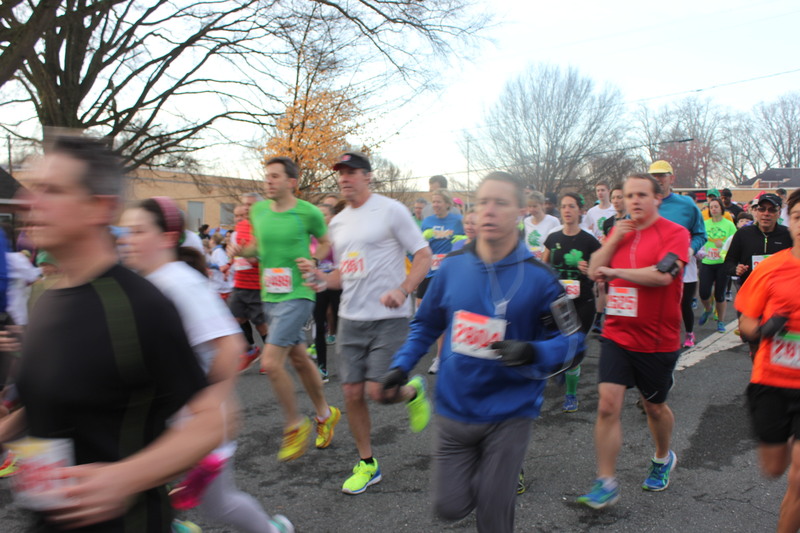 USATF certified 5K and 10K courses will offer an enjoyable, fast, yet challenging run through scenic Buena Vista, while the Fun Run provides a family friendly shorter route. On-site registration will be available at St. Leo School, 333 Springdale Ave.. Registration forms will be available in the school office from 8:30 am - 2 pm.Late Registration and Packet Pickup will be held on Friday, March 18 from 5:30 - 7:30 pm in the St. Leo School Gym, and on race day from 6:30 -8:00 am. 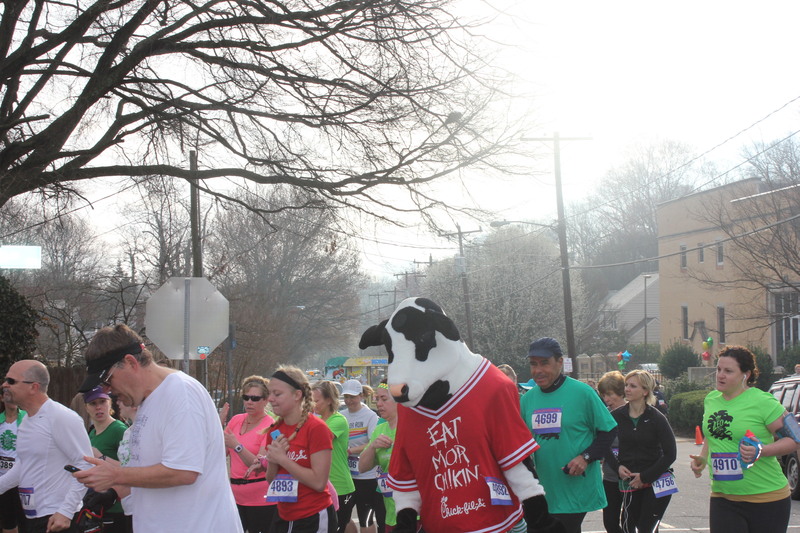 1-mile Fun Run starts at 7:30 am; 5K starts at 8:00 am; 10K starts at 9:00 am. Sign up for both the 5K and 10K races and earn a special custom t-shirt for accepting the challenge! Show your St. Patty's Day spirit by coming in costume or decked out in green. Prizes will be given in Adult (16 and over) and Kids categories for Most Creative Costume, Best Group Costume, and Best "Wearin' of the Green." Carbo-load with a delicious pasta dinner provided by Mario's Pizza. Commemorative race cups available for purchase for $5. Enjoy a tasty pasta dinner, complimentary beer donated by Diamondback Grill and our famous ice cream bar, or any of the other refreshments available! 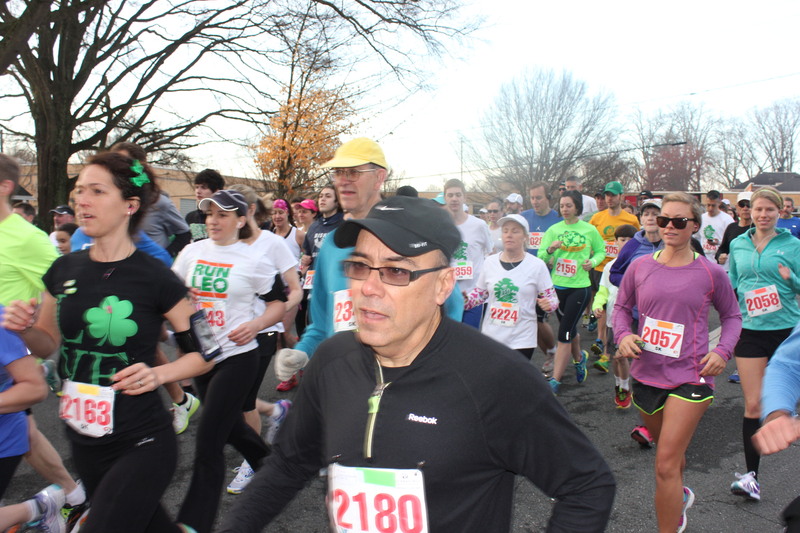 Lots of family fun, best costume awards and plenty of St. Patty's Day festivities! Dinner will be in the St. Leo Parish Activity Center. Costs: Pasta Dinner $5 per person / $25 per family RSVP Appreciated. Need help getting ready for race day? 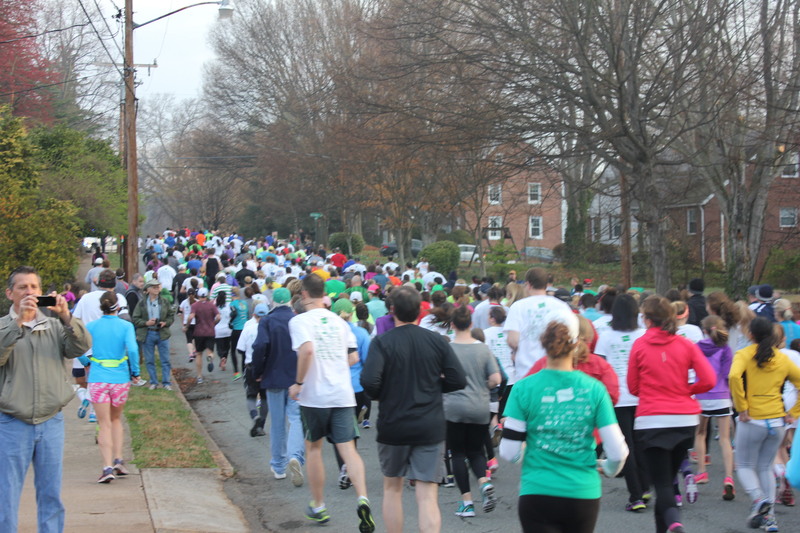 5K and 10K training groups will be held starting January 24th at the William G White YMCA in Winston-Salem.For more information please contact Pam Seach at pamelaseach@yahoo.com or (336) 406-9792. Groups will meet for 8 weeks on Tuesday/Thursday at 8:30am or 6:30pm. Cost is $150 for YMCA members and $200 for potential members. 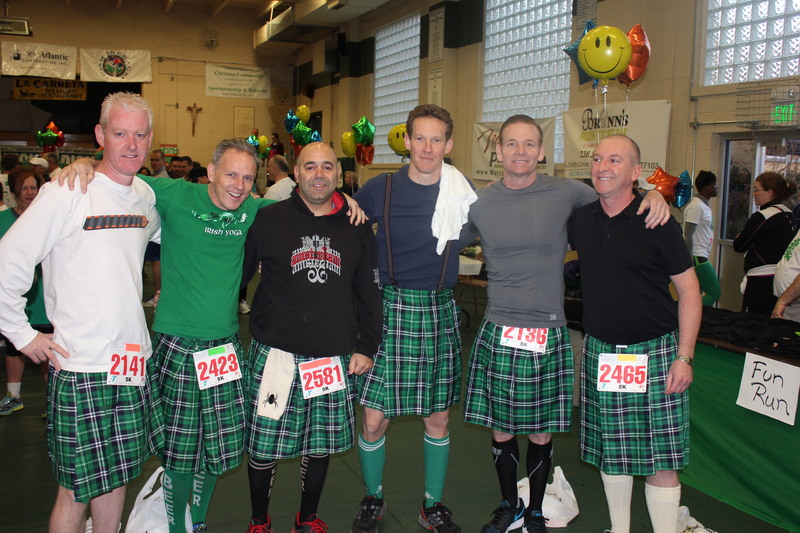 Runners may register and pick up their packets with timing chips in the St. Leo School Gymnasium on Friday, March 17 from 5:30 - 7:30 pm, and on Saturday, March 18 from 6:30 - 8:00 am. ON-SITE REGISTRATION WILL CLOSE 30 MINUTES BEFORE START TIME FOR EACH RACE!! 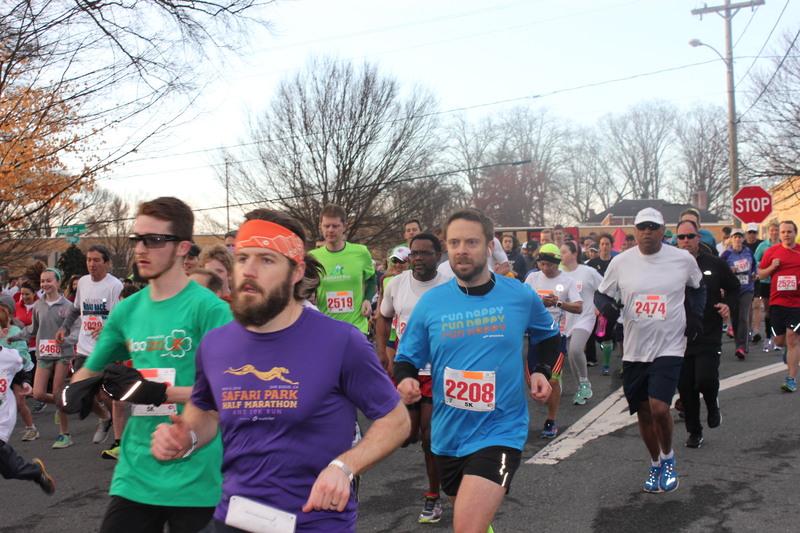 Custom designed t-shirts guaranteed to the first 1500 registered participants - cotton t-shirts for the 5K and Fun Run, and performance t-shirts for the 10K. There will be great St. Patrick's Day fun in store for everyone! Themed contests and entertainment will highlight the weekend as we celebrate the "Luck of the Irish."